I never though that I would set foot in Pasir Panjang Food Centre due to its ulu (i.e. out of the way) location. 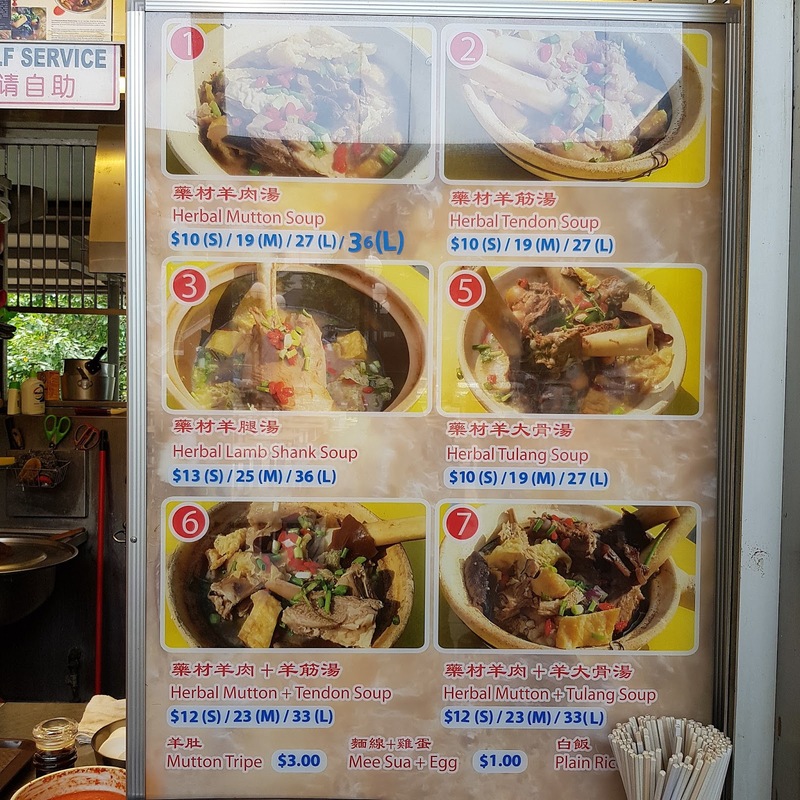 One day, when I had the opportunity to visit the food centre, I spent a consideration amount of time searching the internet and even walking around the stalls 3 times. All this so that I can make the most out of this trip and eat the best food. Since I was there during the day time, there were limited choices. In the end, I settled for Ivy's Hainanese Herbal Mutton Soup 海南药材羊肉汤. This was a risky choice and the type of dish which "you would either love it or hate it". Also, it is an extremely hard dish to execute as evident from the number of such stalls in hawker centres, food courts, coffeeshop or even restaurants. 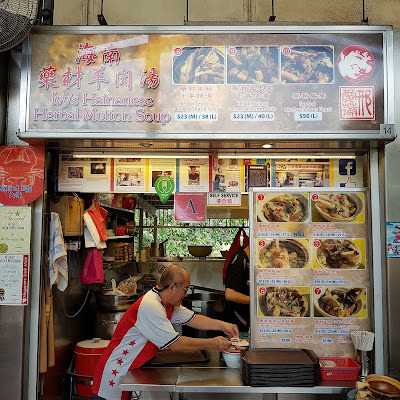 As its name suggests, the stall specializes in Chinese style Herbal Mutton Soup, to be more specific, Hainanese style. The owner of the stall, Max has been running the stall for 9 years and it was previously located at Kim Keat Palm Market and Food Centre at Toa Payoh Lorong 7. 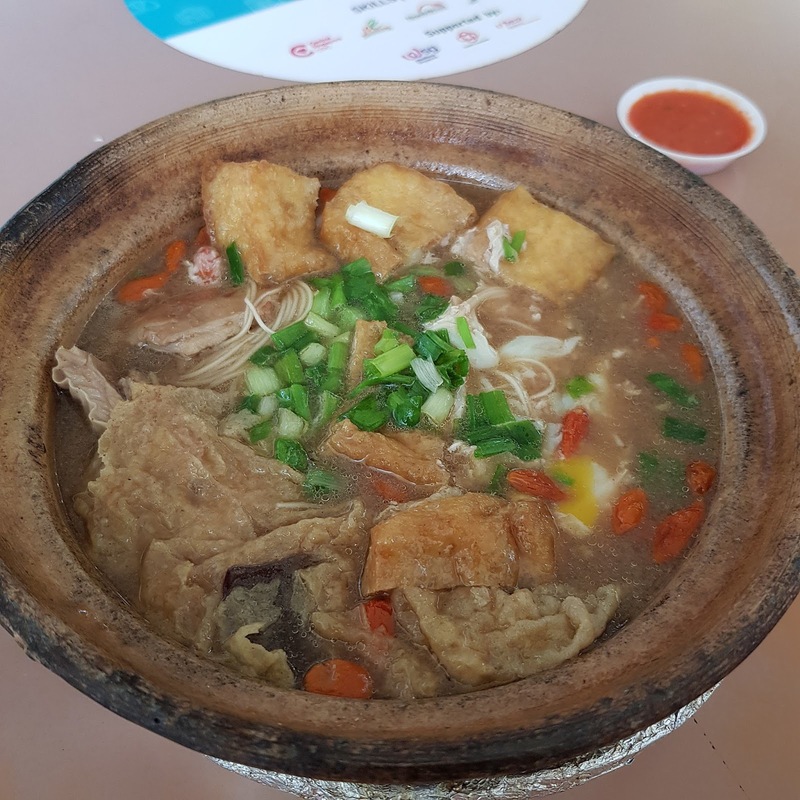 There were other dishes available such as tendon, lamb shank and tulang soup. I settled for the the Herbal Mutton Soup with a bowl of rice $10.50. 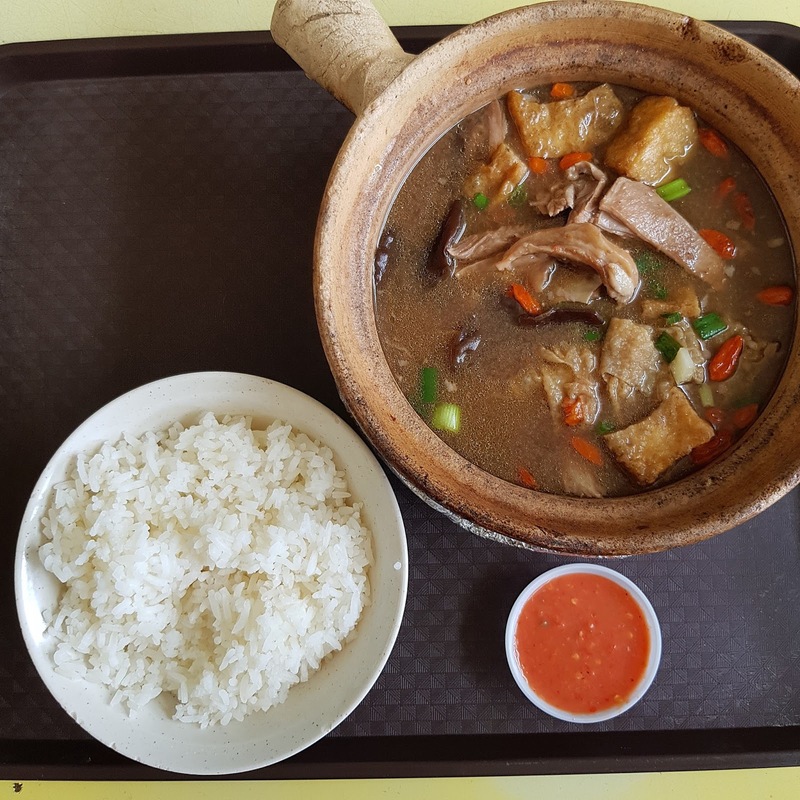 The Herbal Mutton Soup was served in clay pot. This was a smart tactic as it ensured that the ingredients and the broth were kept warm for a longer period of time. You would not like to drink your soup cold do you? Soup lovers will understand this. The Herbal Mutton Soup very well executed. 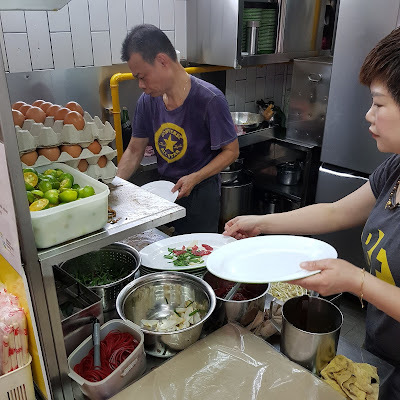 As you can see from the photo and video, many different types of ingredients such as wolfberries, red dates, dang gui, black fungus, tau pok and beancurd skin were added. I love the flavourful, rich and robust herbal broth. Moreover, the mutton meat and ribs were tender and more importantly, had no pungent gamey taste. This was because Max had marinated the mutton with fermented red yeast and seared them in oil during the preparation stage. I went back again on another occasion as this was just too good. 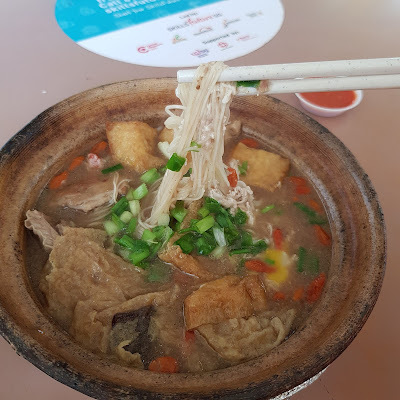 This time, I tried the Herbal Mutton Soup with Mee Sua and an egg $11. The broth quality was the same as my first visit. The inclusion of the Mee Sua was a good idea as the silky mee sua had soaked up and was coated with the broth. May be on my next visit, I should just dump my whole rice into the broth! Oh boy, I had no regrets eating this! This is the best mutton soup ever! Definitely a must try! If you are someone hates the gaminess taste in mutton, you should give this a try! Fried Kway Teow is a popular local dish which most Singaporeans can resonate with. Despite the fact that this dish comes along with unhealthy calories, we all love it and indulge it frequent! 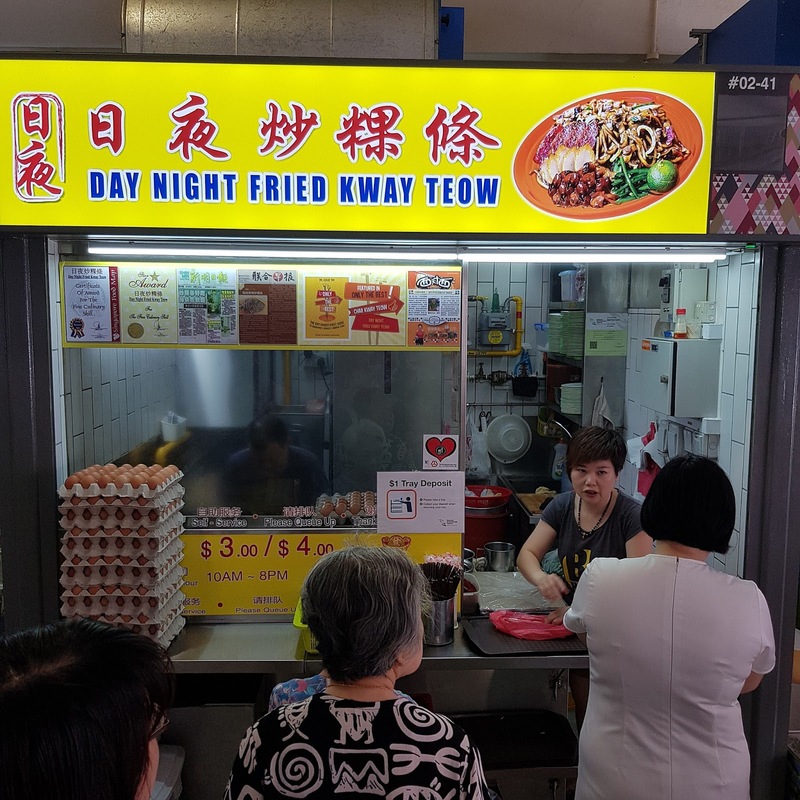 There are two fried kway teow stalls in Bukit Merah Central Food Centre. Day Night Fried Kway Teow 日夜炒粿條 is the more popular one judging from the queue. Despite the queue at this stall, the turn over is fast. These days, it is a common practice for hawkers to divide and literally count the number of ingredients given. 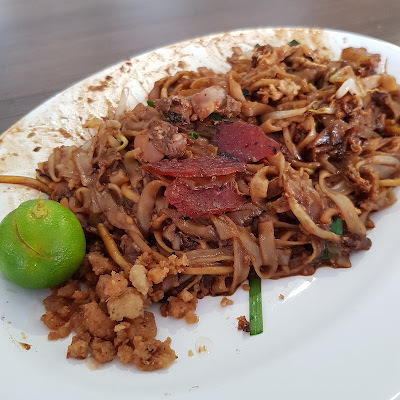 I would have preferred for the Chinese sausage (lap Cheong) to be fried together with the ingredients to extract its fats and flavour into the noodles. 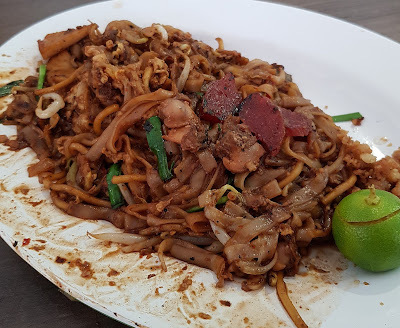 This plate of Fried Kway Teow $4 was delicious. It was fragrant and flavourful with a good balance of sweet and savoury. It would have been perfect if wok-hei was infused in it. The small pieces of crisp pork lard at the side provided even more flavour with each bite.